This trip is now SOLD OUT, if you would like to be put on the waiting list please Contact Us today. 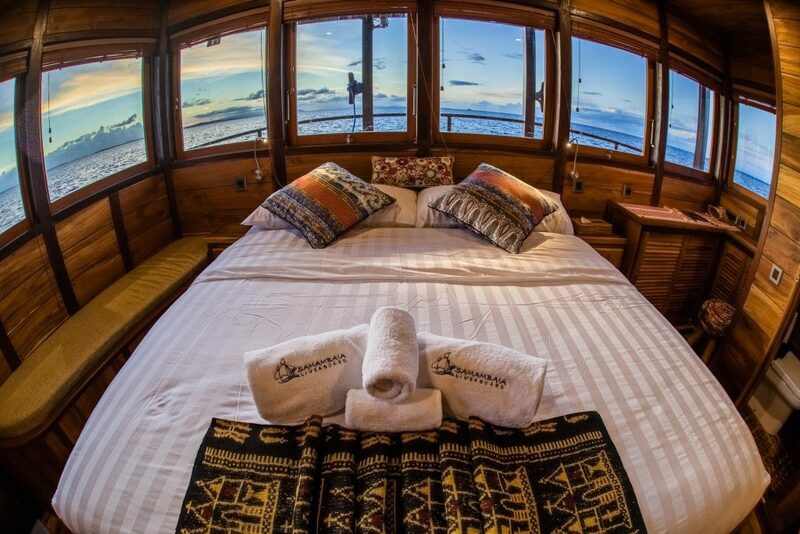 Join us in Alor for an incredible trip on board of the beautiful Samambaia Liveaboard. 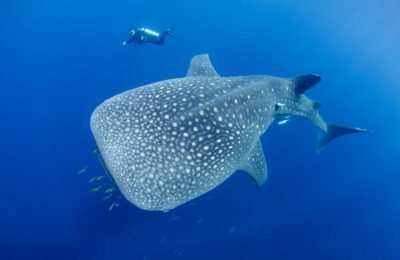 The Samambaia crew is one of the most experienced operators in the area, they conduct several trips in the region every year. Alor is one of the most incredible locations in the Indonesian Archipelago with great wall dives and some of the best macro sites in Indonesia. 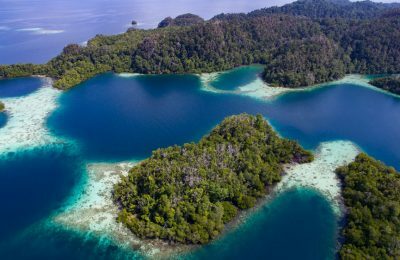 The remote and untouched 18 islands of the Alor and Solor group are considered one of the best diving destinations in Asia. 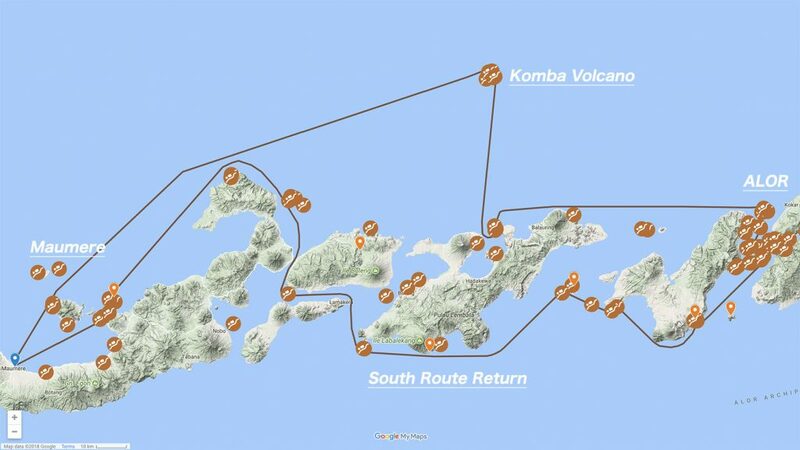 This is not a busy tourist area and only a few divers have explored these waters. 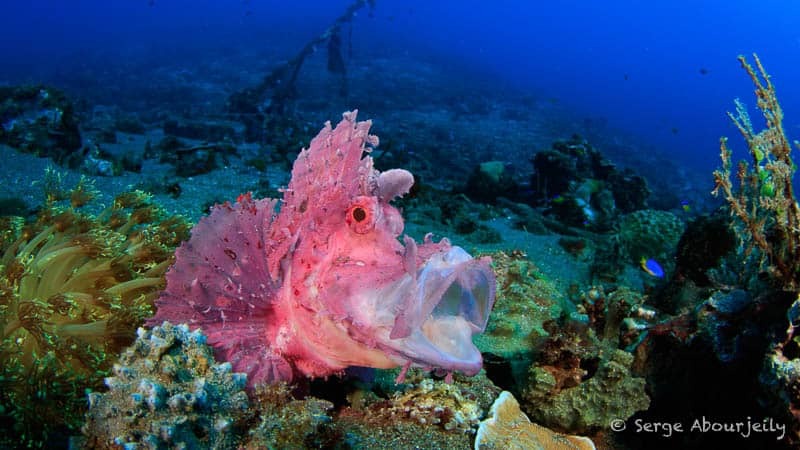 Expect excellent dives on sheer walls with beautiful corals, black sand sites with amazing critters such as frogfish, ghost pipefish, colourful nudibranchs and the wonderful rhinopia scorpionfish. 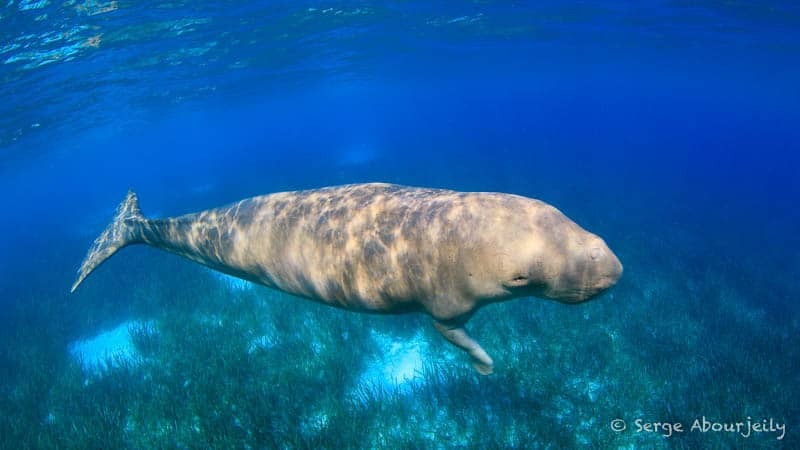 Interact with locals in traditional canoes wearing the traditional wooden googles and maybe even swim with a Dugong. 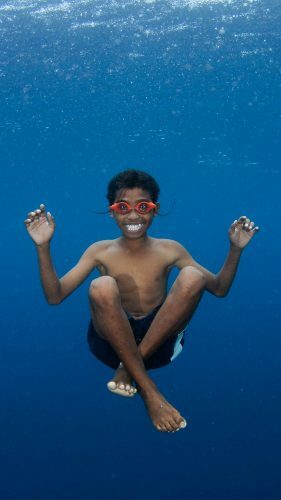 An Alor trip is an incredible experience both underwater and at the surface. This brand new Liveboard is fitted with all the features of a modern dive boat. 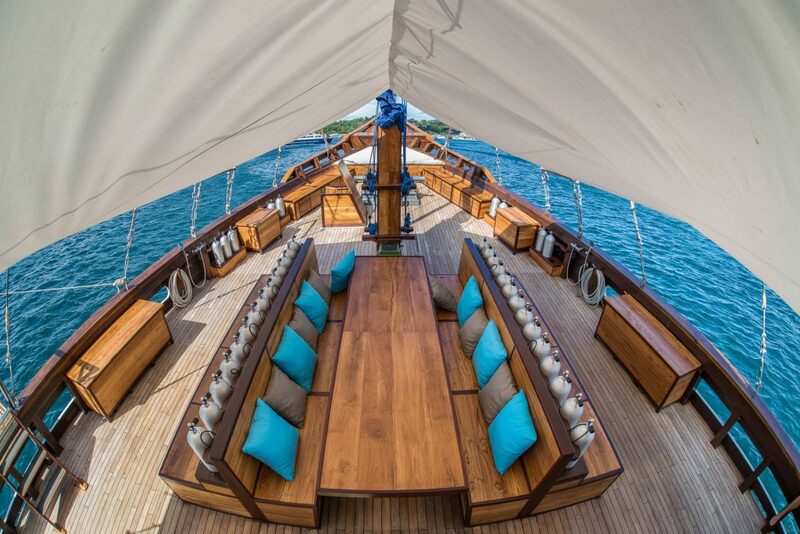 With a powerful marine engine that can reach up to 10 knots cruising speed, the Samambaia covers ground quickly. During the design process the focus was focused on every detail. Functionality was paired with aesthetics and quality materials. The layout of the ship was built around the needs of the guests with comfort and service a high priority on board. The atmosphere is relaxed and cozy yet social and private at the same time. general orientation will be given onboard. secret spots south of the island of Adonara. east. 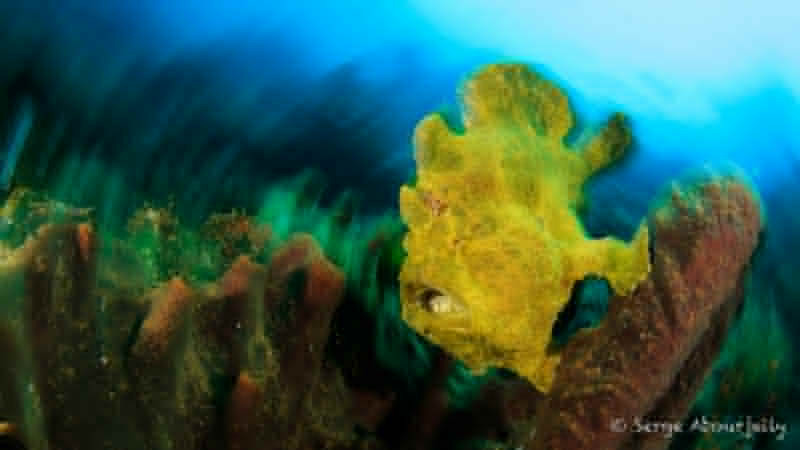 Critter hunting at it’s best: Seahorses, different species of Rhinopias, frogfish, all sorts of cephalopods: Truly a world class dive spot. modern world. Alternatively we offer a dive of course. we named it that because it has a little something of everything. our favourites here are our secret spots. bottom times if you are a critter lover. No time limit here on the night dive. 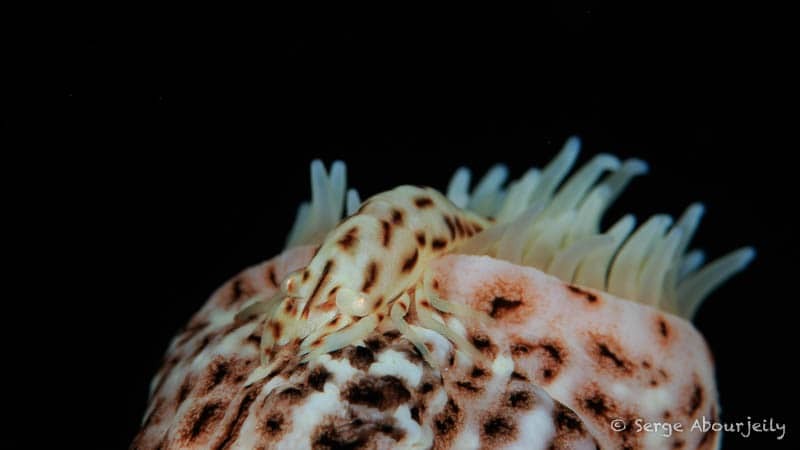 Ghostpipefish, Roughsnout Ghostpipefish, Thorny Seahorse, Melibe nudibranch and more! 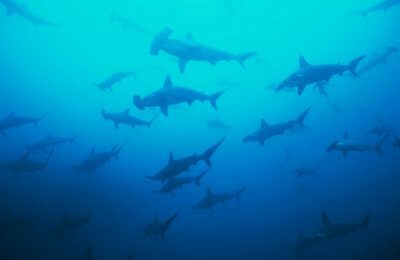 big Dogtooth Tuna and Thresher Sharks. blend of both. We make this depending on the preferences of our guests. will happily offer a second dive as well. boarding and waterskiing and the famous Floating Bar. 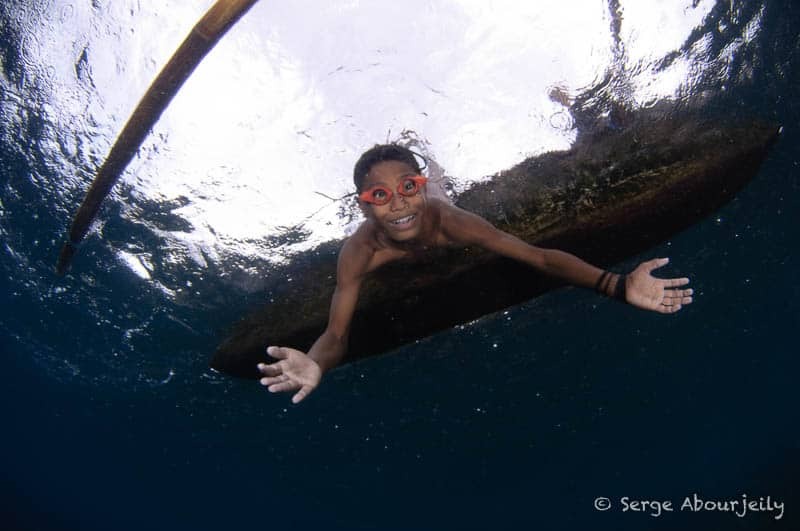 Interested in other Underwater Tribe Trips? Check out our Upcoming Trips page for a list of all of our upcoming travel plans.